Del. Marice Morales, elected for the first time four years ago, said this week that she is committed to seeking re-election to her current post. That makes her the only one of four members of the District 19 state legislative delegation definitely staying put next year. Welcome to yet another playing field in a countywide game of political dominoes, triggered by Friday’s disclosure from U.S. Rep. John Delaney of Potomac that he is foregoing a bid for re-election in 2018 to seek the Democratic presidential nomination in 2020. Morales’ District 19 colleagues include two-term state Sen. Roger Manno of Silver Spring, who Wednesday made official what he has told supporters for months: If Delaney did not run for a fourth term, Manno, a former congressional aide, would seek to succeed him on Capitol Hill. With Manno moving on, Del. Bonnie Cullison—also a Silver Spring resident first elected to the House of Delegates in 2010—is eyeing a bid for Manno’s open Senate seat in next year’s Democratic primary. “I am considering that option,” Cullison, a former president of the local teachers’ union, the Montgomery County Education Association, said in an interview. Cullison’s aspirations have been complicated by uncertainty surrounding the future plans of the remaining incumbent in the District 19 legislative contingent, Del. Ben Kramer of Derwood. After publicly suggesting late last year that he was getting ready to make a bid for the county executive post his father, Sid Kramer, held from 1986 to 1990, Ben Kramer in recent months has been playing his cards close to his vest on his political future. He told Bethesda Beat Wednesday he will announce his plans immediately after Labor Day. Sources last month suggested Kramer was waiting to see what Potomac businessman David Trone would do, even though Kramer insisted Wednesday that Trone’s plan have not been “of significant concern” to him. If Kramer opts against a race for county executive—even with Trone now out of that contest and running for Delaney’s seat—it would appear to leave him two remaining political options: re-election or a bid for the state Senate. Kramer’s father and his sister, Rona Kramer (who now heads the state Department of Aging under Gov. Larry Hogan), each served in the Senate. A run for Senate could put Kramer, first elected to the House of Delegates in 2006, on a collision course with Cullison in overwhelmingly Democratic District 19, which stretches from Silver Spring to the outskirts of Rockville and Gaithersburg. It also could translate into vacancies in two of the district’s three delegate seats, which also would be true if Kramer opts for the county executive race. That prospect, in turn, already has prompted three non-incumbent candidates to file or declare their intentions to run for delegate in the District 9 Democratic primary next year. At least two others are eyeing a run, including former Montgomery County Democratic Central Committee member Charlotte Crutchfield of Silver Spring, who sought a delegate nomination in 2014. Vaughn Stewart—a Derwood resident who is an associate with the Washington-based law firm Wilmer Hale—announced his candidacy this week. 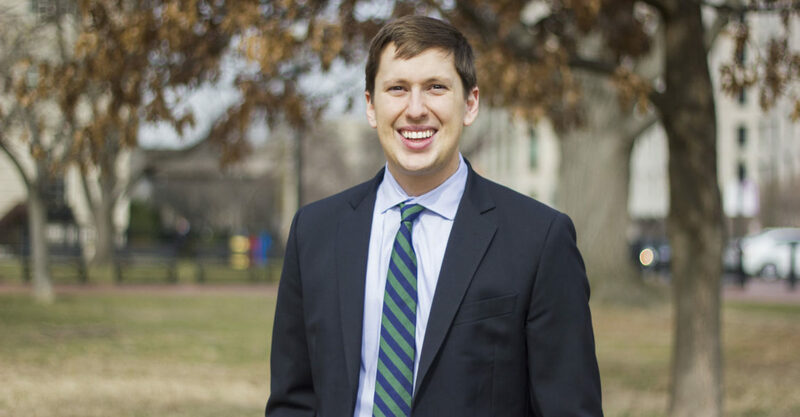 Stewart, currently treasurer of the District 19 Democratic Club, last year served as policy director for the campaign of now-U.S. Rep. Jamie Raskin. He is a board member of the Montgomery County Renters’ Alliance and was on the board of the Action Committee for Transit. Two other contenders filed for delegate seats in the District 19 Democratic primary earlier this year. One, Brian Crider of Rockville, a software developer and tester for public transit vehicles, was active in the 2016 presidential campaign of Vermont Sen. Bernie Sanders. The other, Jade Wiles of Silver Spring, is a former health care operations manager now pursuing a Ph.D. in health administration. He has worked as a community organizer for people with developmental disabilities. Justin Dayhoff of Derwood, a social services and educational consultant, also filed for the seat earlier this year. While his name remains on the official candidate listings at the Maryland Board of Elections, Dayhoff—who has been active in the District 19 Democratic Club—this week confirmed he is withdrawing from the contest due to family obligations. Meanwhile, Crutchfield currently chairs the county’s Merit Systems Protection Board, and noted that she is precluded from running for office until her term there expires this December. But Crutchfield said she has a “very strong interest” in running for a delegate slot in the June 2018 primary, and indicated in an email that she is already moving to set up a campaign. “…Once I finalize my plans to run for office, I will hit the ground running with a campaign manager, who has successfully ran a countywide race, elected officials and community leaders who will endorse me and a campaign team of energetic volunteers ready for success,” Crutchfield said. She added that she “learned a lot” from her 2014 bid for delegate, when she finished behind Morales in the Democratic primary by fewer than 400 votes as three candidates took aim at an open seat. During that campaign, there was a split in the District 19 delegation, with Manno and Cullison lining up behind Morales and Kramer teaming up with Crutchfield on a delegate slate. Also said to be considering a run for delegate in the 2018 primary is a current member of the Montgomery County Democratic Central Committee, Marlin Jenkins of Silver Spring, an attorney for the American Federation of Government Employees.